I'm tired, so I'm actually going to make this post short. And I actually mean it this time. I've always loved Fleet Collection, but I usually never have the money to afford the gorgeous pieces. 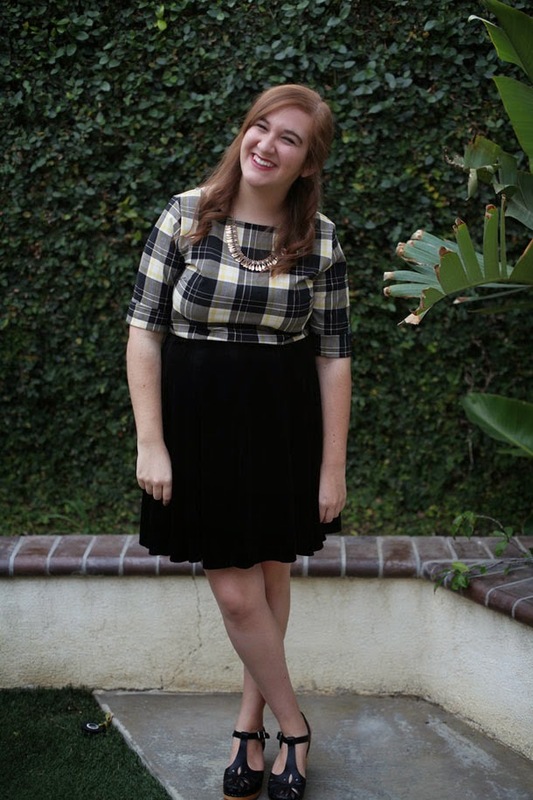 Fortunately, everything on the Fleet Collection site was 40% off on Cyber Monday, and I took a break from buying a massive amount of Christmas presents to grab this plaid crop top and a matching skirt. They look wonderful together as a two piece set (that looks like a dress) and just as great paired with items. The possibilities are endless, and I already plan on wearing the skirt for a post next week. I can't lie, I felt quite classy in this outfit. Fleet Collection, I love you. Also, I'm seeing Jenny Lewis again tonight. I actually got these tickets a while ago (long before I bought the tickets for her show a few weeks ago), and I'm so pumped to see her do a longer set and open for Ryan Adams. This year has just been the best for music. Gorgeous you look simply fab!!!!! Love your style as always xxxx That necklace looks lovely !!! 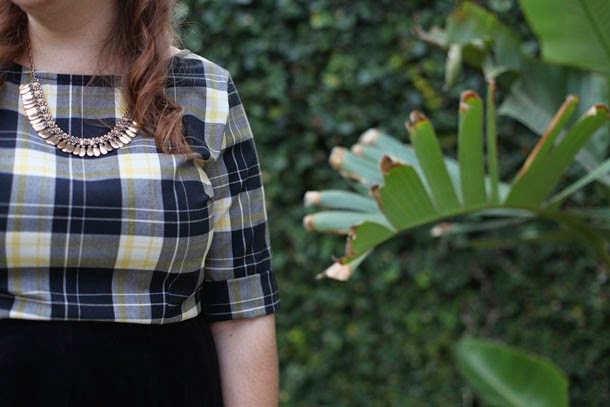 That top is an amazing mash-up of colors for plaid. The back has such subtle details but I think it really makes the top something special. I've never heard o fleet collection, but I will be looking it up! Really cute top! 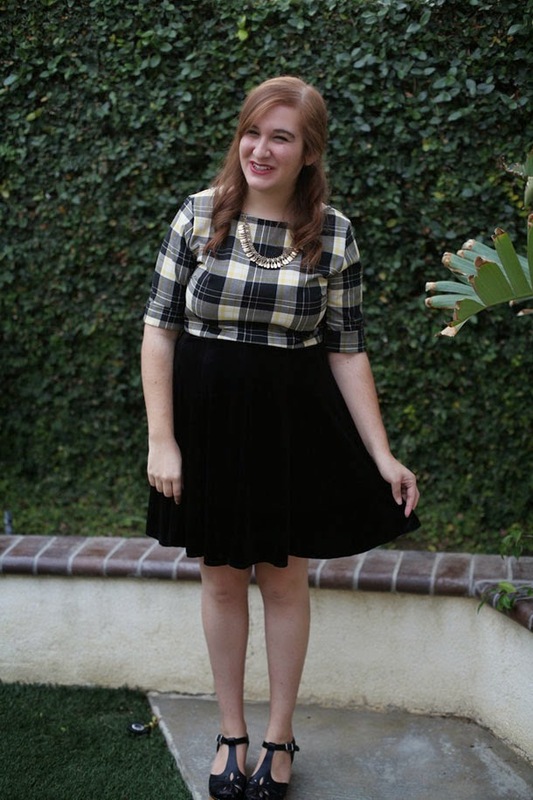 Plaid and tartan are my favourite things to wear at this time of year, and as you said, it does look very classy! SO cute! 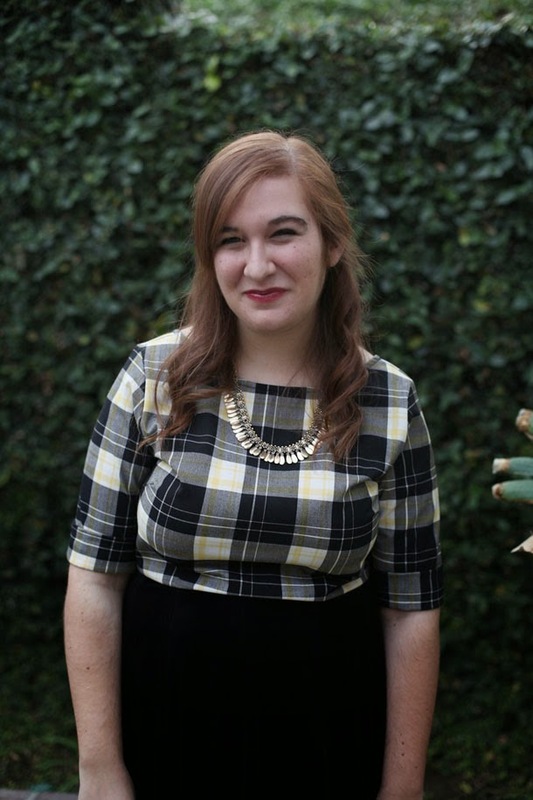 I have a huge weakness for plaid, and I love how you've styled that top! And the skirt is velvet? Even better! Ooo a plaid two piece set? That sounds adorable! I really like the top so I'm sure I'd love seeing it with its match. Matching sets are the ultimate remixable thing. There are so many possibilities! have fun at the show! a friend of mine was there last night and LOVED it. This look is so, so, so incredibly classy and yet fun! 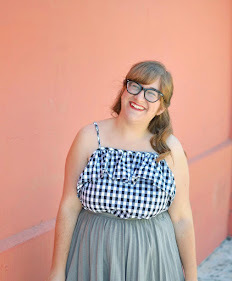 I had no idea by looking at these pictures that it was a crop top and skirt! But I love it! Have fun at the concert!! :O :O I just went over to the Fleet Collection website, omgthosedresses! I totally looked for the skirt you're wearing as well, because I cannot believe you thrifted it. Nice find. And I am officially SO JELLY that you saw Jenny Lewis twice! Totally missed her when she was here in Nashville. Such a great concert outfit! I hope you are well, friend! Jenny Lewis again? Ahaha, wow, this really has been an awesome year for music! 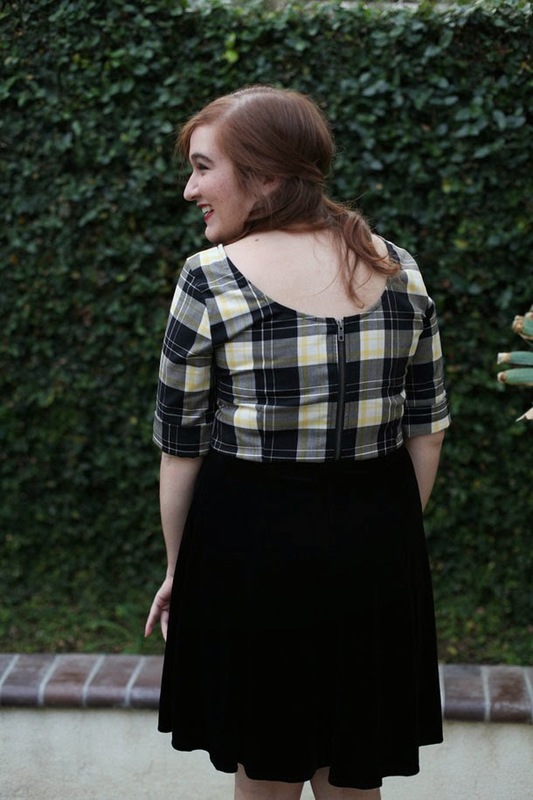 I love this plaid top, especially the slightly bare back! That top is the cutest thing ever!! And ahh your'e so lucky to see Jenny Lewis again!! She's amazing! Ahh you get to so many shows! Love it. And I'm in love with those shoes. I need to put Swedish Hasbeens on my splurge list.